Rolling Green Memorial Park, hundreds of dragonflies, closest water source 2miles. They seem to fallow me to every hole I dig. They’re probably hoping you’ll disturb a bunch of insects for them to eat! 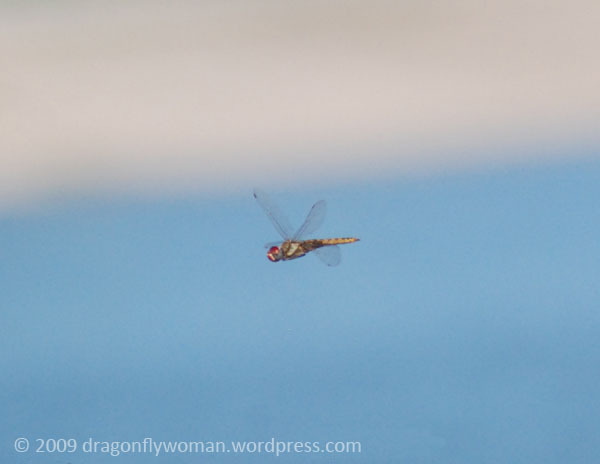 Dragonflies are known to follow people and other large mammals because we disturb flying insects as we move about, so it’s likely your dragonflies are doing the same thing to you. Fun! m in West Chester Pa, 19380! Just thought it was strange!